I just came back from teaching the Market Opportunity Navigator at the Technology University in Munich, where I had a very interesting discussion with my students: does a structured process inhibit or enhance creative discovery of business opportunities? Coming from a generation that often perceives itself as ‘out of the box thinkers’, their insights surprised me. Before I share these insights, let me first describe the context: during the course, students work in teams on developing a focused strategy for an innovative technology. The very first step of this process requires the discovery of different market opportunities stemming from the innovation. In other words, they need to deliberately take a step back from the original idea, and strive to uncover other applications of the technology, and other types of customers who may need it. To guide them through this process, we created Worksheet 1- a structured thought-process for generating a set of market opportunities. This dedicated worksheet begins with characterizing the unique abilities or core technological elements of the venture, detached from any specific product. It’s a ‘de-linking’ process that helps managers think of their assets in a more generalized manner. Then comes the ‘re-linking’ process, where you combine these assets in different ways to identify what types of jobs they can do for different types of customers. Worksheet 1 of the Market Opportunity Navigator. Download the worksheets here. This framework offers a process for creative ideation. But processes can be binding and boring. They emphasize structure and restrictions where freedom and exploration is required. In fact, creativity is all about thinking outside the box, breaking the rules and escaping constrains, so it is not surprising why many claim that structure actually kills creativity. But is this really the case? Are creativity and structure really contradicting? Gladly, my students thought the opposite… After working with Worksheet 1 to generate their set of market opportunities, they claimed that a structured approach leads to creative discoveries, and that both are actually two crucial sides of the same coin. Here are the main reasons why: Define what we are looking for To encourage a discovery process, we cannot simply wonder in the dark. We have to define very clearly what is it that we are looking for, or how would the light at the end of the tunnel look like. 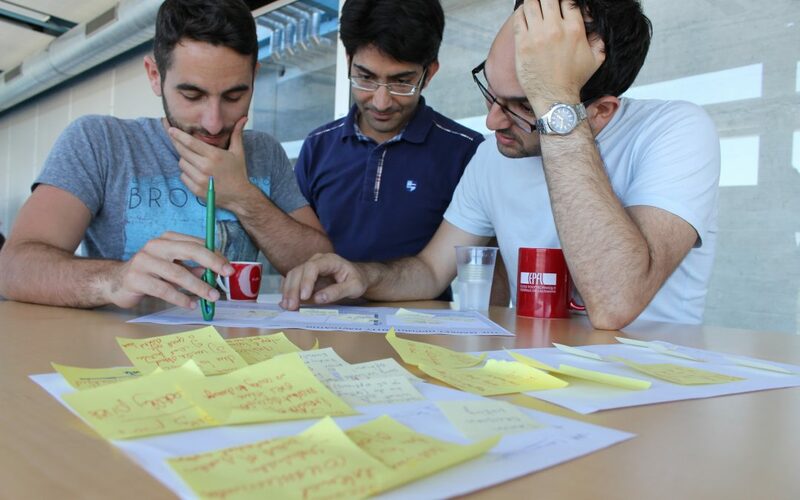 The students were not just looking for great new ideas, they were trying to uncover new market opportunities, defined as any application of the technology to a specific set of customers. They claimed that this clear understanding simplified their search process. Set the boundaries of our playground A structured process sets the boundaries for our search: it guides us where to look for answers and how to unleash our creativity. Worksheets and templates channel our thinking process: they offer step-by-step sequences of operations that lead us to focus on the core elements of the problem. The students felt that this systematic approach not only helped them to generate creative opportunities, but also gave them confidence in a process that can be quite chaotic. Play in teams Lastly, innovation is a team sport. We need to play in teams if we wish to truly unleash creativity. Worksheets and frameworks, in this case, provide a communication tool. They create a shared language that we can use to debate and discuss with peers. For the class assignment, this element was crucial. The students realized it and appreciated this advantage. Overall, although structure and creativity might seem like an oxymoron, I agree with my students and was glad to hear their insights. The best creativity comes when there is a strong framework of structure to push against. By the way, academic studies found supporting evidences, indicating the advantage of structured methods over conditions of total freedom. Oh… and one more insight: creativity requires structure, but structure requires creativity first, to design the right frameworks. I hope we were successful in this task when designing our worksheets. Such discussions with students definitely encourage me that we were.